Tooele first baseman Griffen Bate (19) reaches out to tag Grantsville’s Justin Richardson during Monday’s summer league game in Grantsville. Richardson was out on the play. 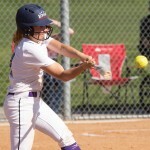 Tooele pitcher Payton Shields delivers to the plate in the late innings of Monday’s game. Shields threw a six-inning shutout in Tooele’s 12-0 win over Grantsville. Tooele’s Nick Hogan puts the bat on the ball during Monday’s summer league game against Grantsville. 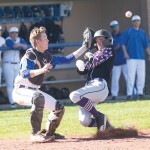 Tooele won the game 12-0 in six innings, improving to 4-2 this summer. It may have been a summer-league game in mid-June with nothing much on the line, but nobody told the Tooele and Grantsville baseball teams. 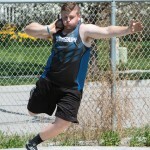 The cross-county rivals met Monday night in Grantsville with the intensity level ratcheted up a notch or two from a typical summer-league contest. 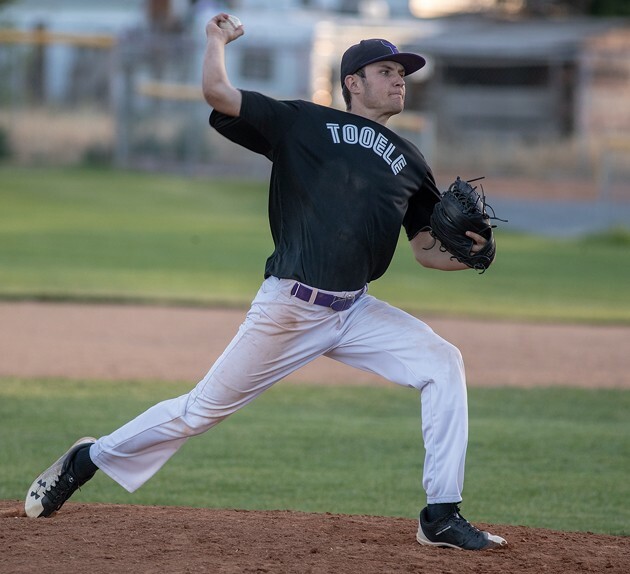 Tooele prevailed 12-0 in six innings, thanks to a relentless offensive attack that blew the game open and a rock-solid pitching performance from Payton Shields, who threw a complete-game shutout. “We were playing our hometown rivals, so we wanted to come out hot,” Shields said. “As soon as I found out I was starting, from the get-go, I wanted to be there. We want to beat these guys and we didn’t get to play them in the regular season, so we definitely wanted it tonight. 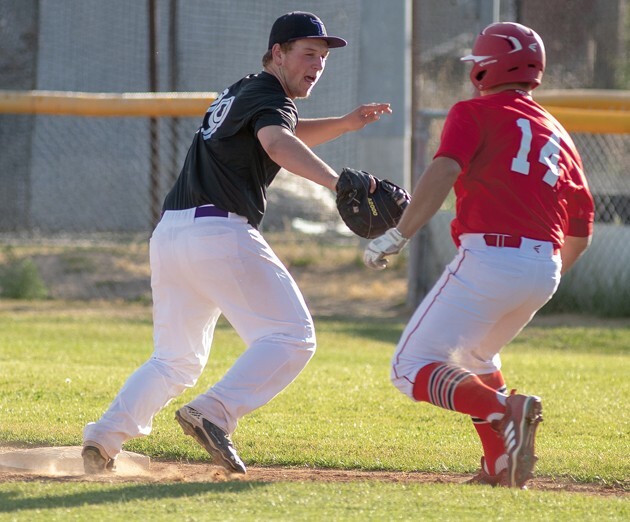 Tooele (4-2 in summer league) is coming off its most successful high school season in recent memory, advancing to the postseason this past spring and finishing third in Region 11 behind two solid programs in Juan Diego and Park City. But the Buffaloes aren’t content with merely making it to the playoffs — they’re hoping to take the next step when the regular season rolls around again in March, and as a senior, Shields hopes to help lead them there. Monday’s game marked the Buffs’ third shutout in their four wins this summer. They also shut out Granger 21-0 and beat West Jordan 14-0. 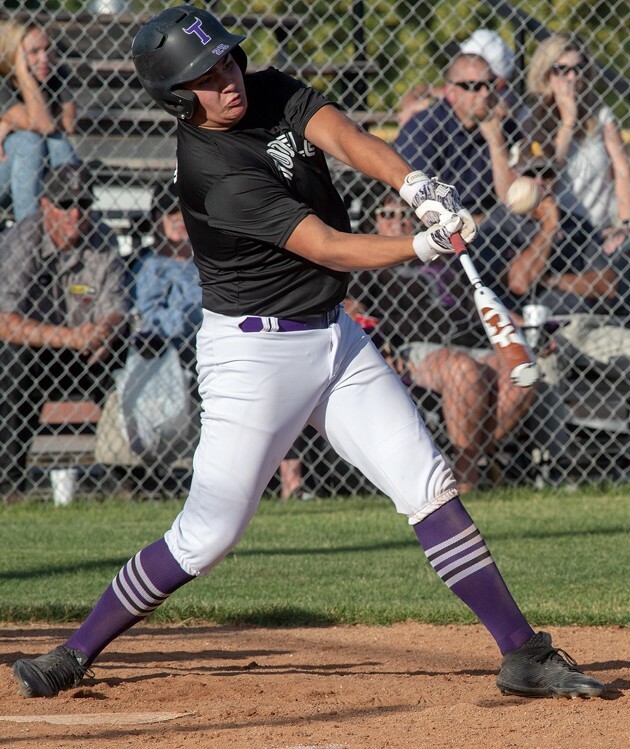 Tooele’s other victory was an 11-8 triumph over Herriman, and the Buffs currently sit sixth in the 20-team Salt Lake County-based summer league. “Little things are starting to pull together,” Shields said. On the other side, Grantsville (5-2) struggled in the field, with errors proving costly against a motivated rival. The loss was the Cowboys’ second in as many games, and they’ve allowed 24 runs in their past two outings. 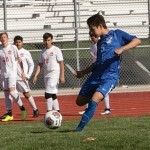 They hope to get the ship righted Wednesday at home against West Jordan, with another home game Friday against Kearns. Tooele will play host to Stansbury on Wednesday and Hunter on Friday.